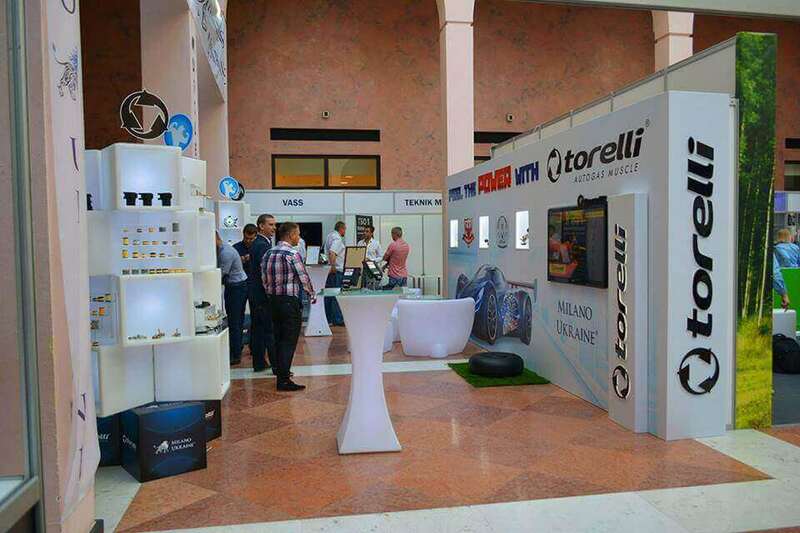 The company Torelli was established 15 years ago and for all the work time, it has succeeded in occupying the leading positions on the world market of gas-cylinder equipment. 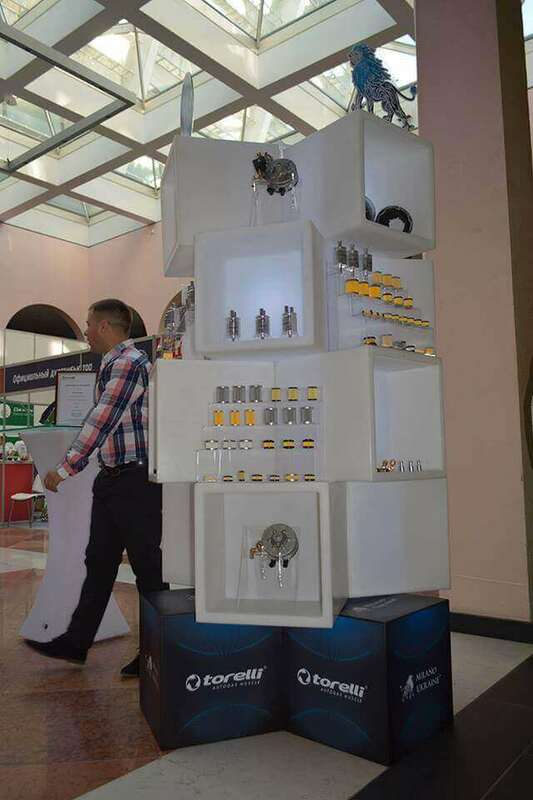 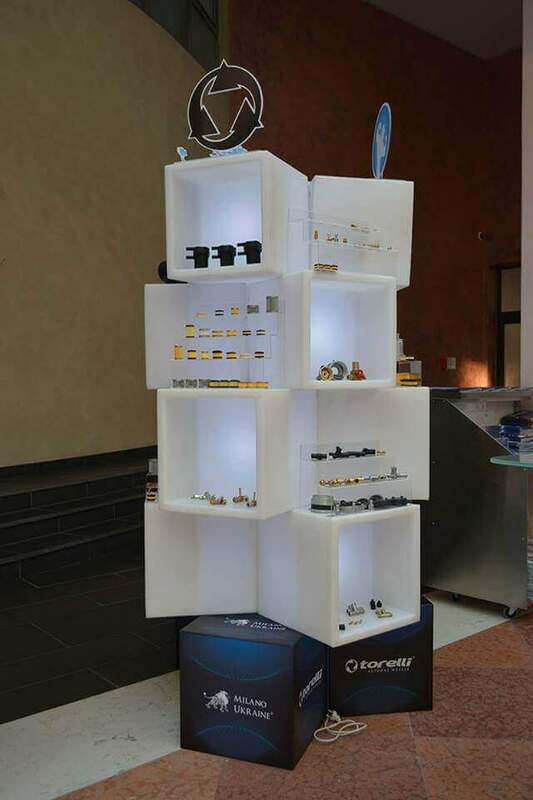 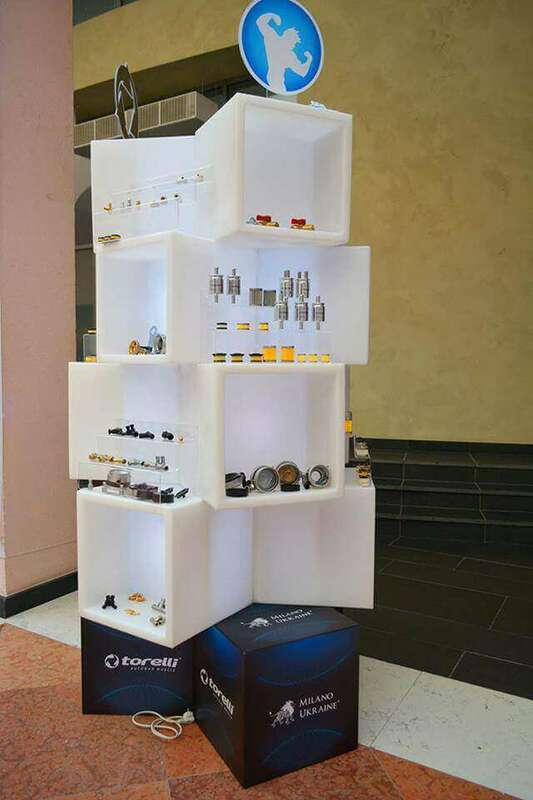 The company Torelli represents quite a wide range of production: from filters to cylinders. 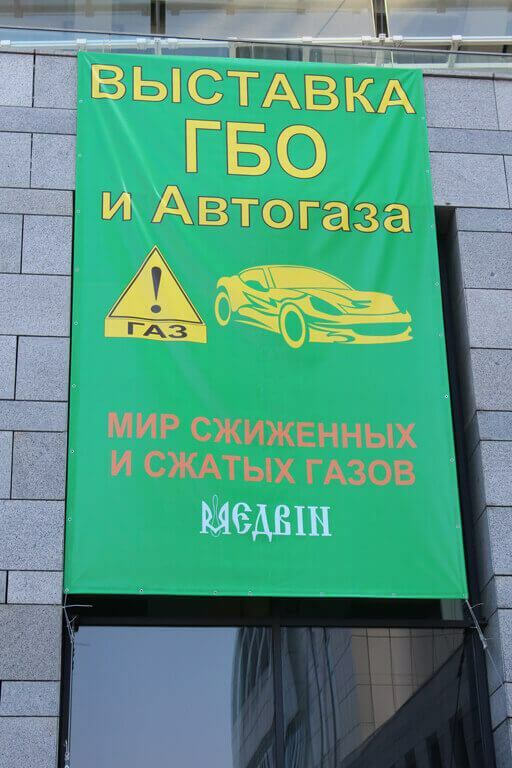 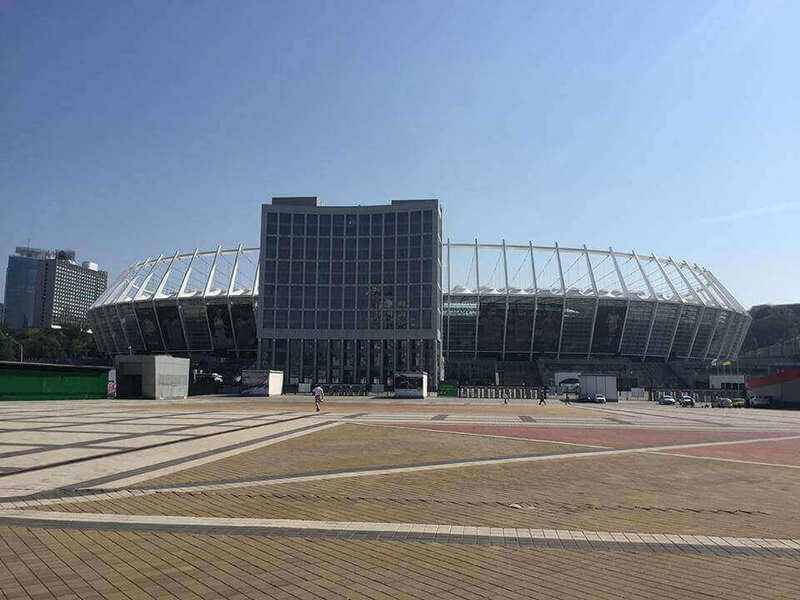 The manufacture is conducted according to the international quality standard ISO 9001:2008 with use of modern technologies, computer system of production quality control. 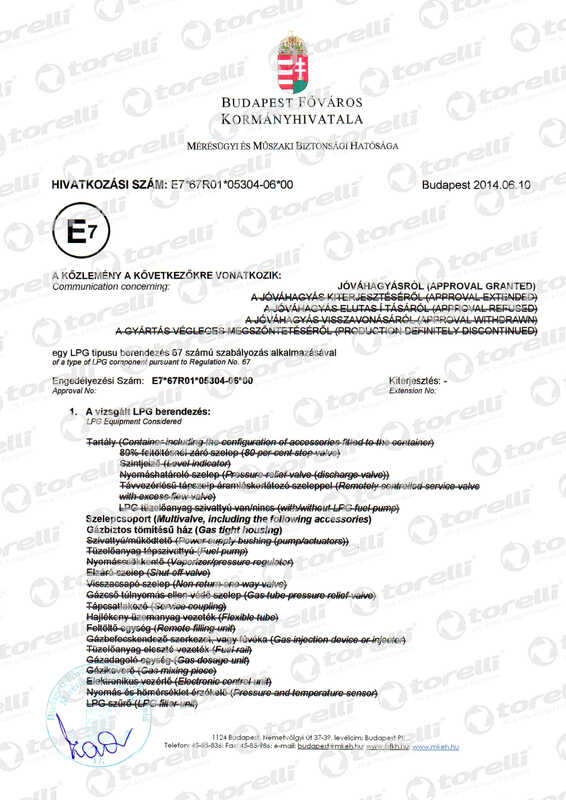 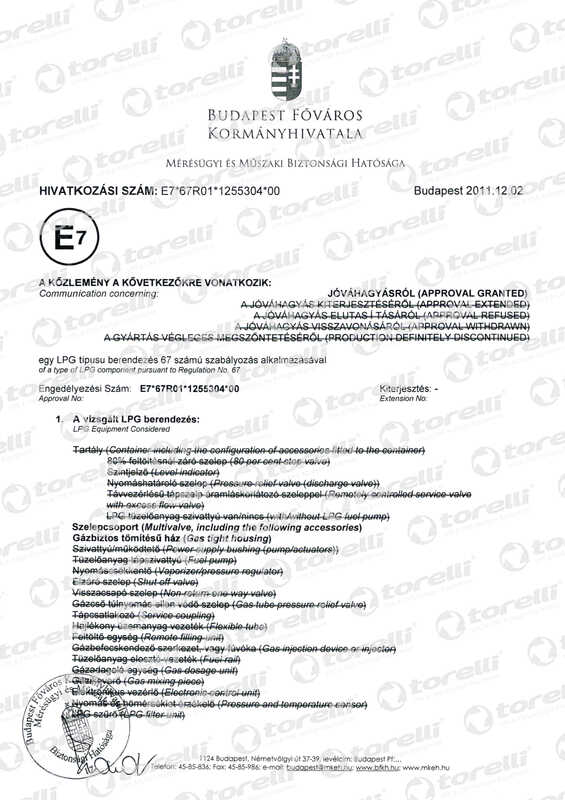 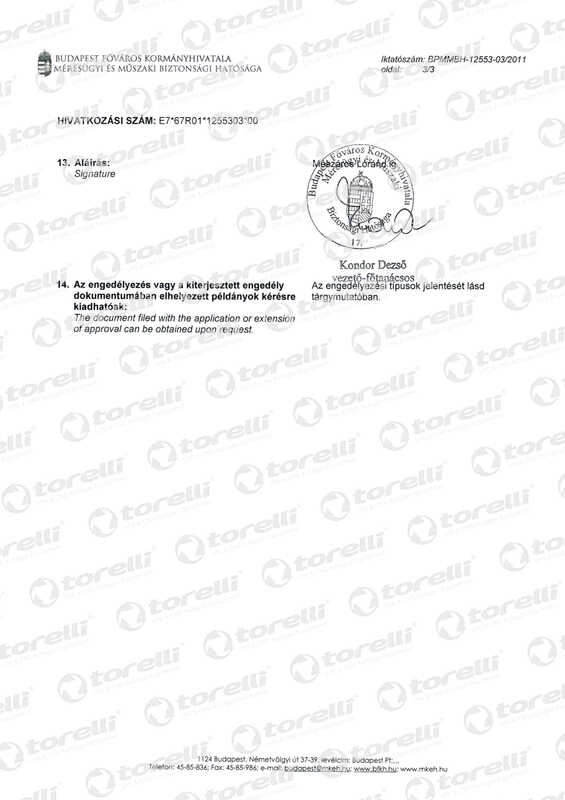 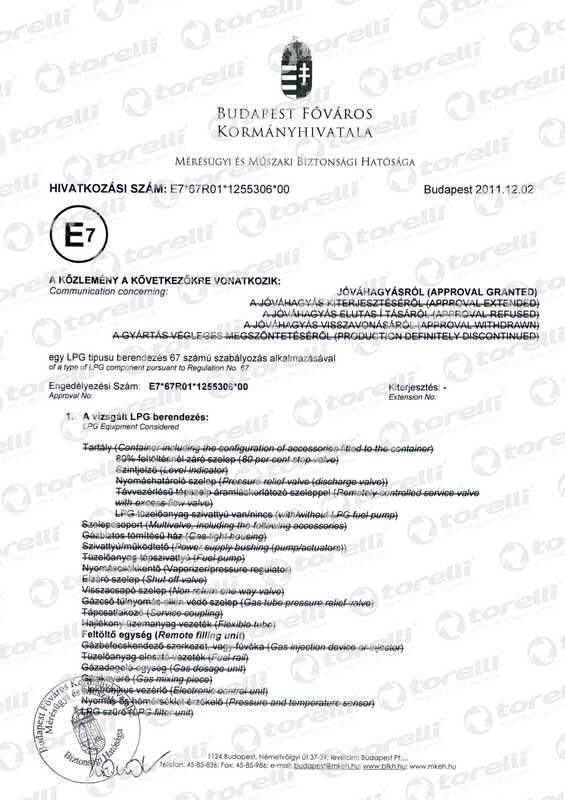 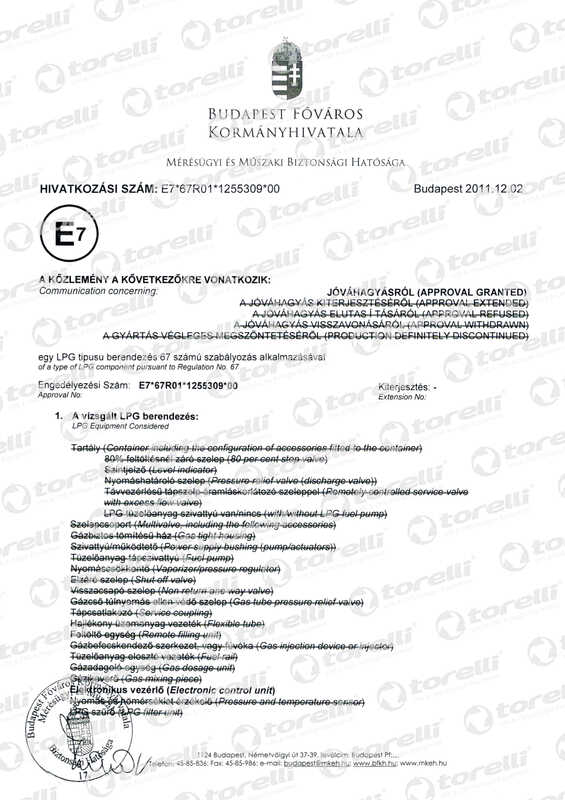 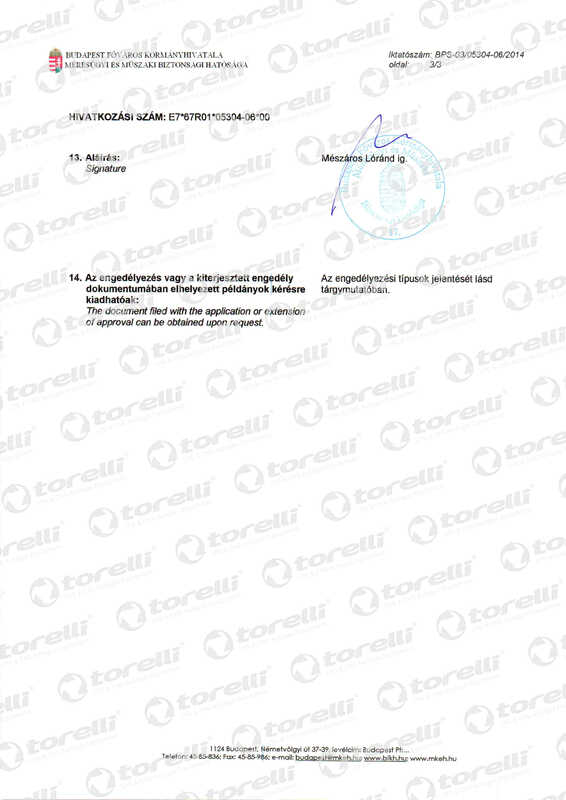 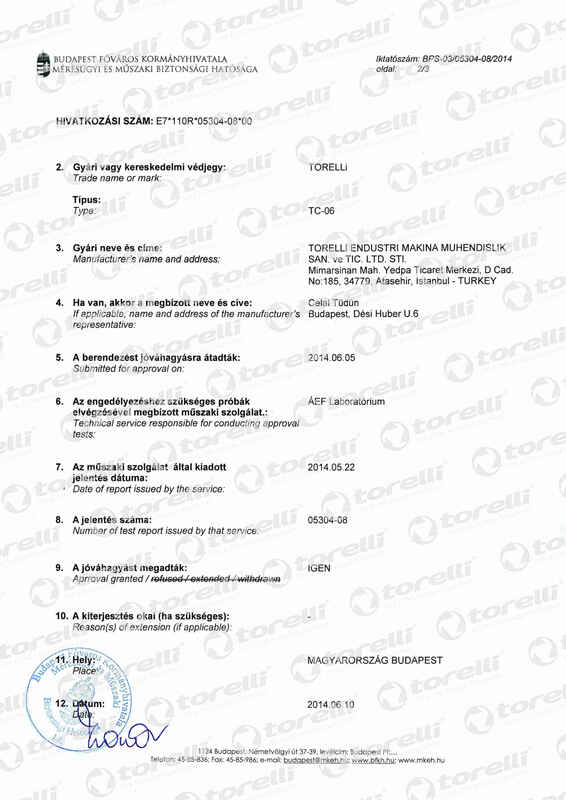 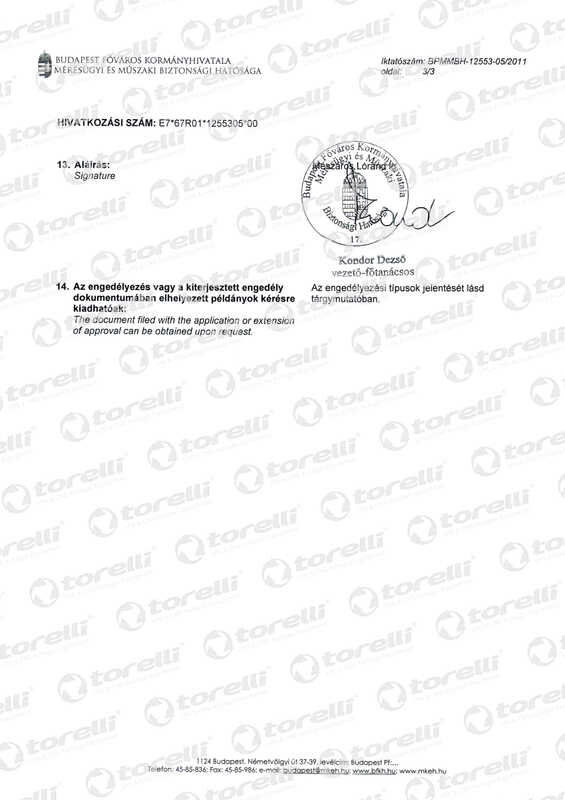 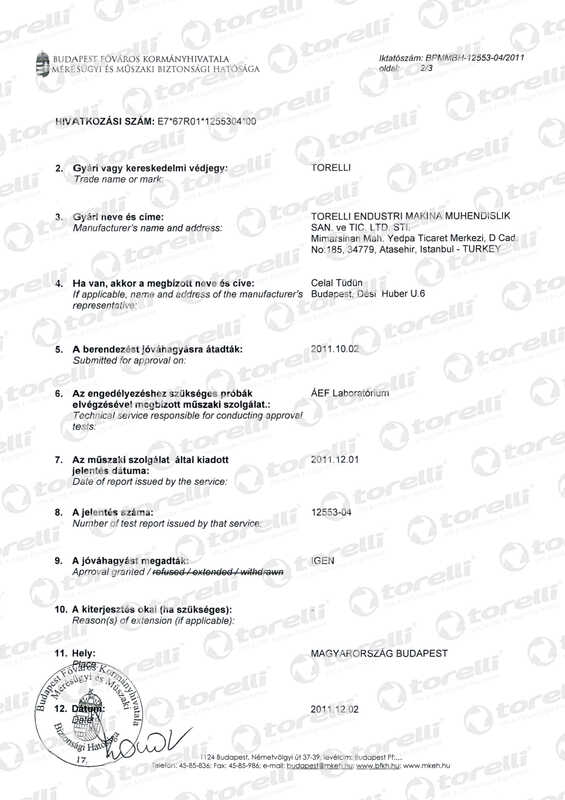 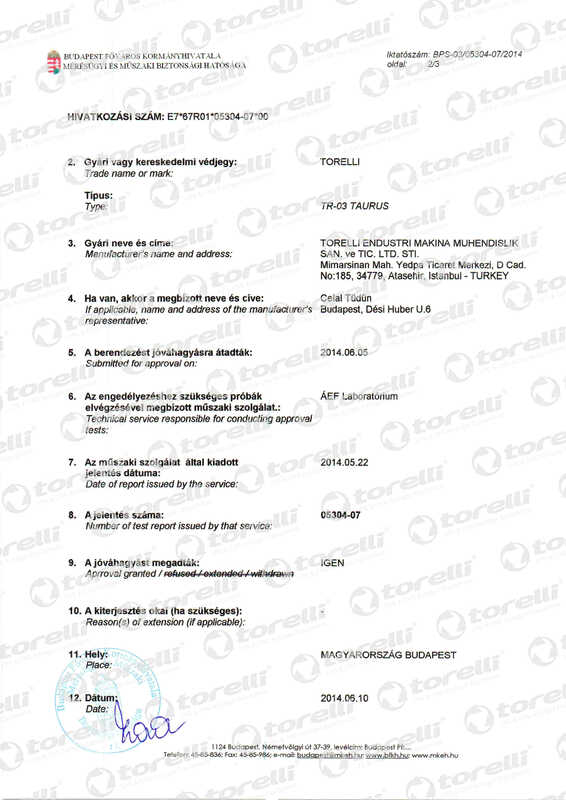 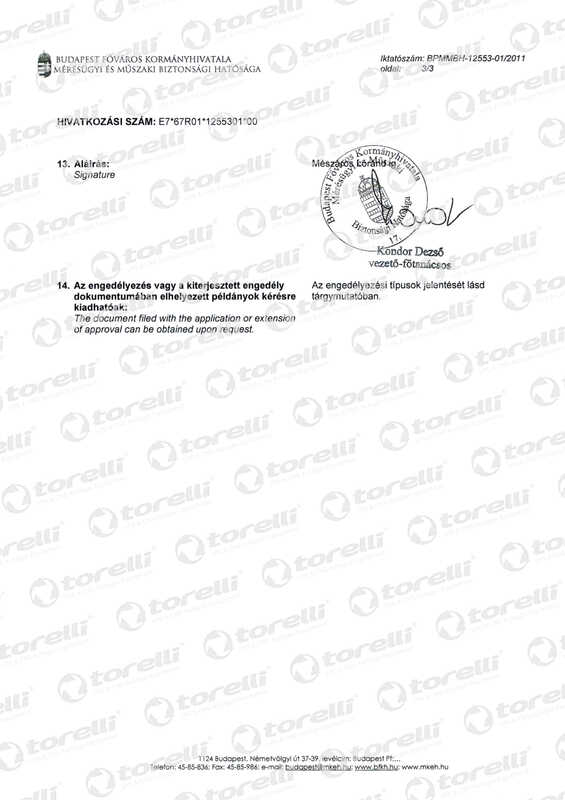 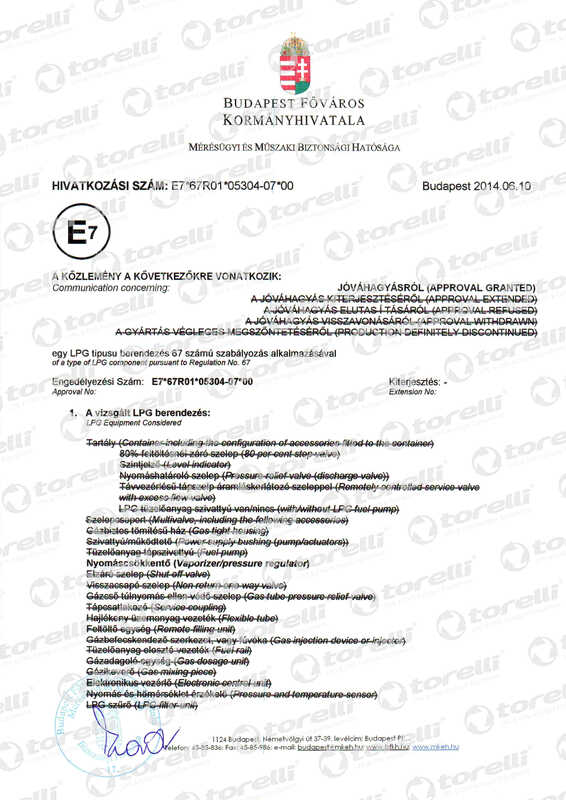 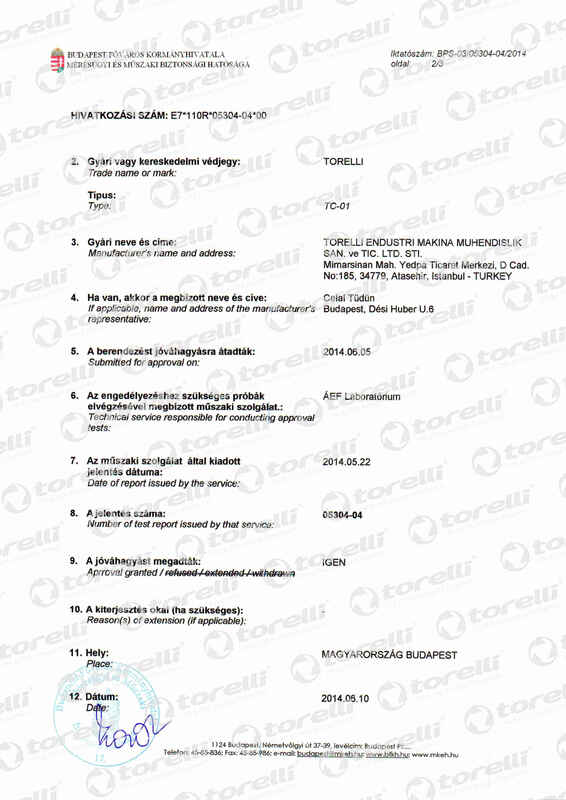 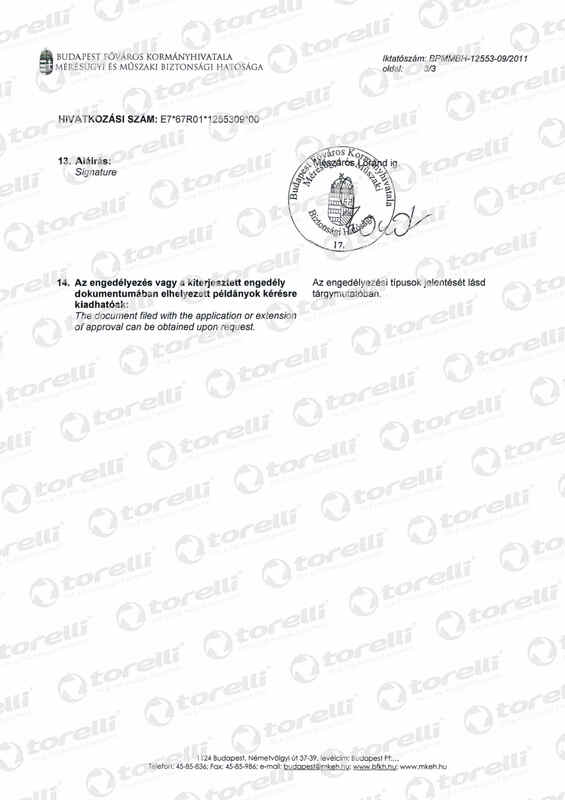 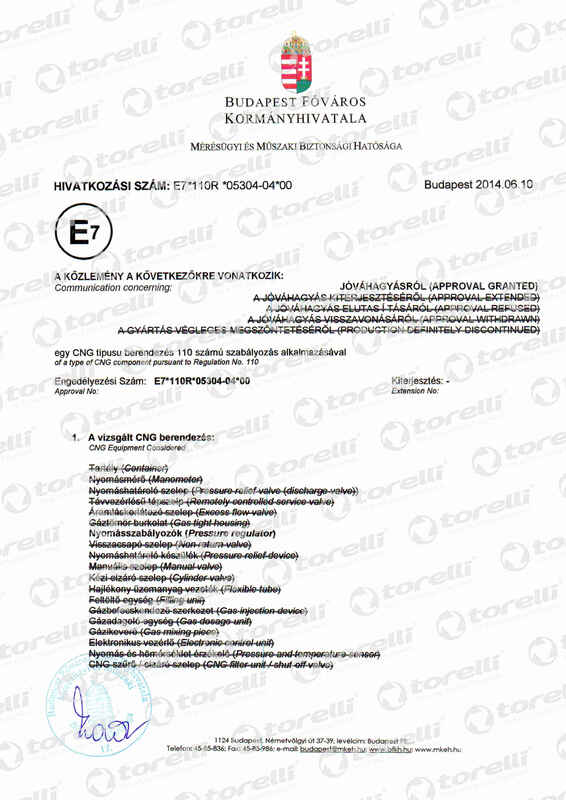 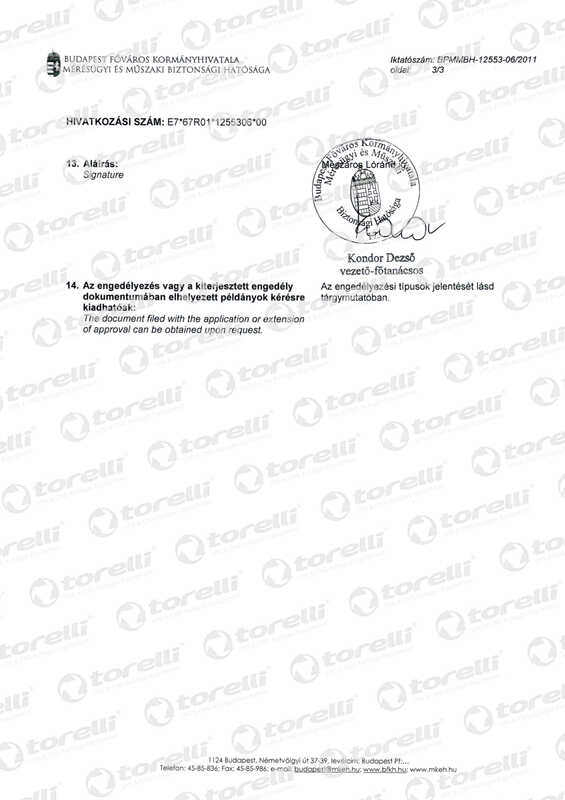 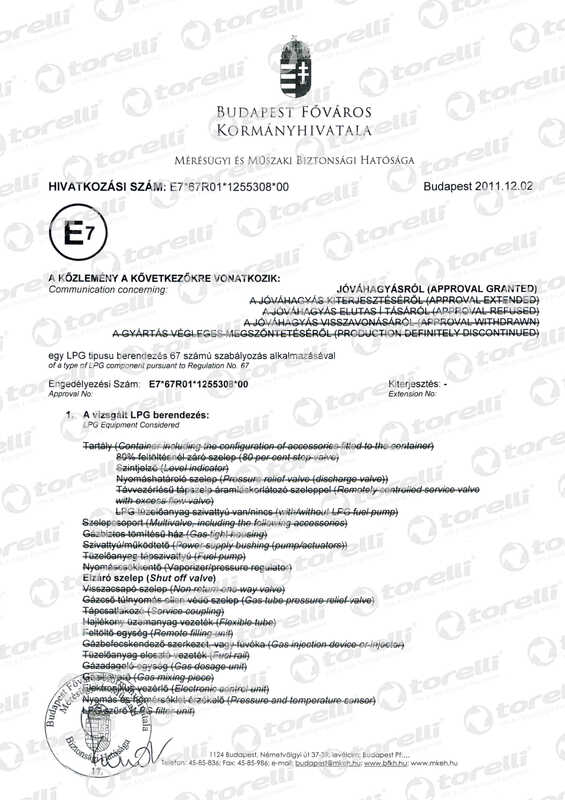 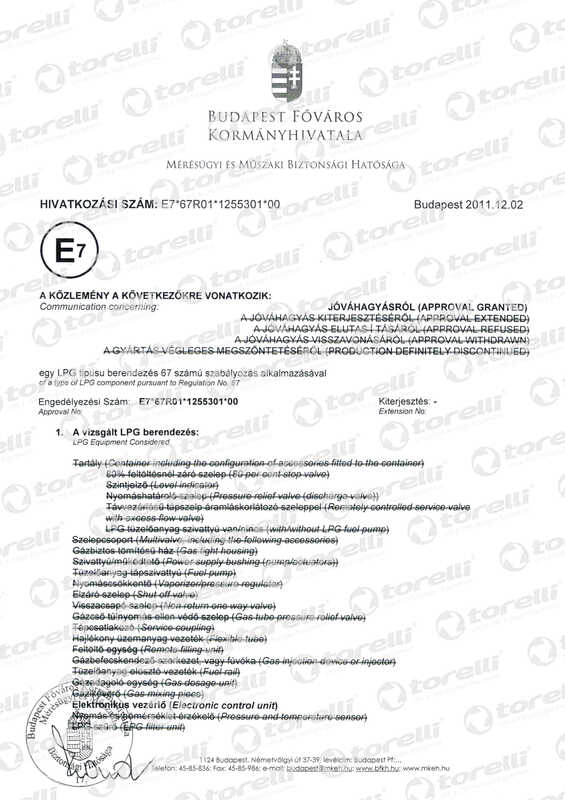 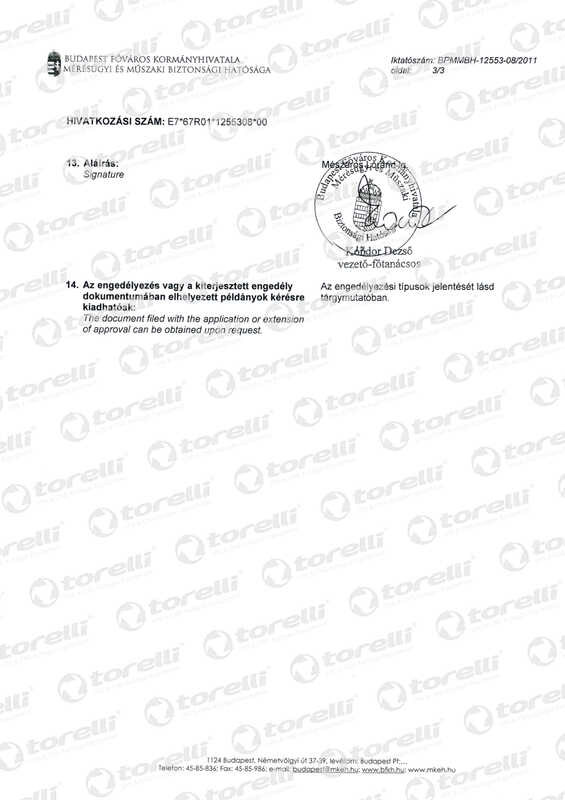 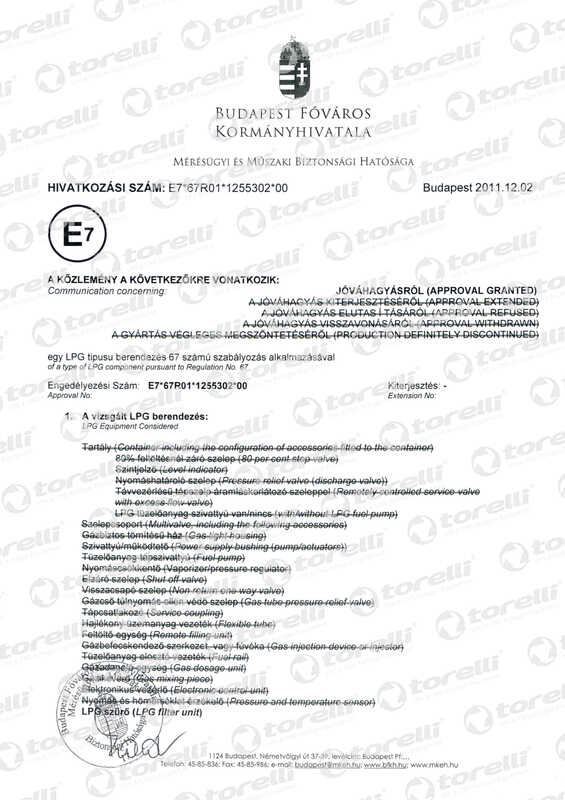 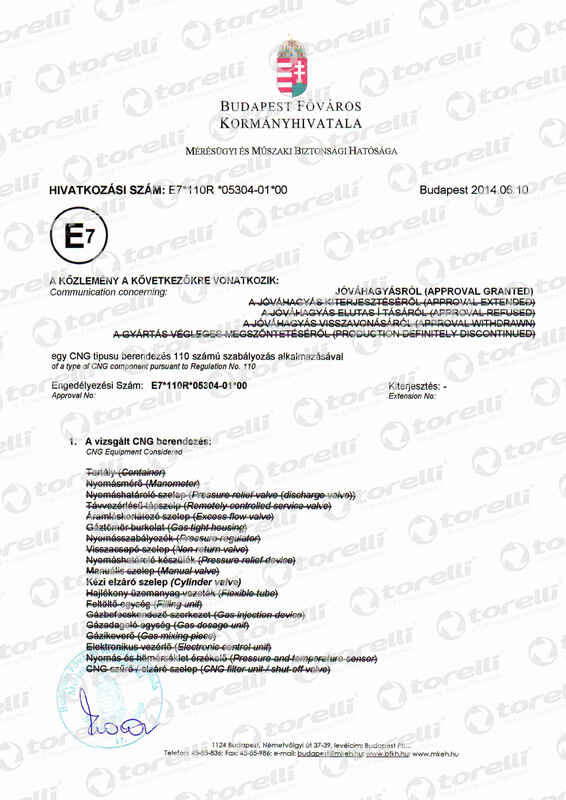 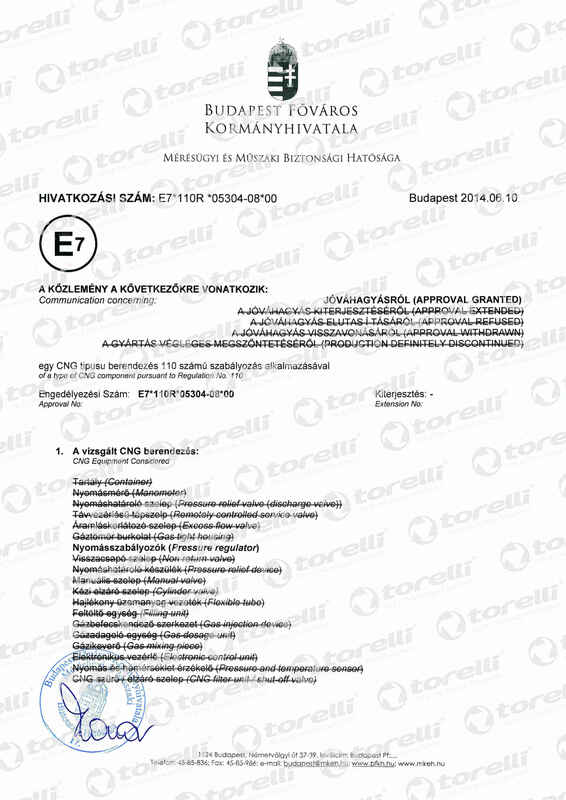 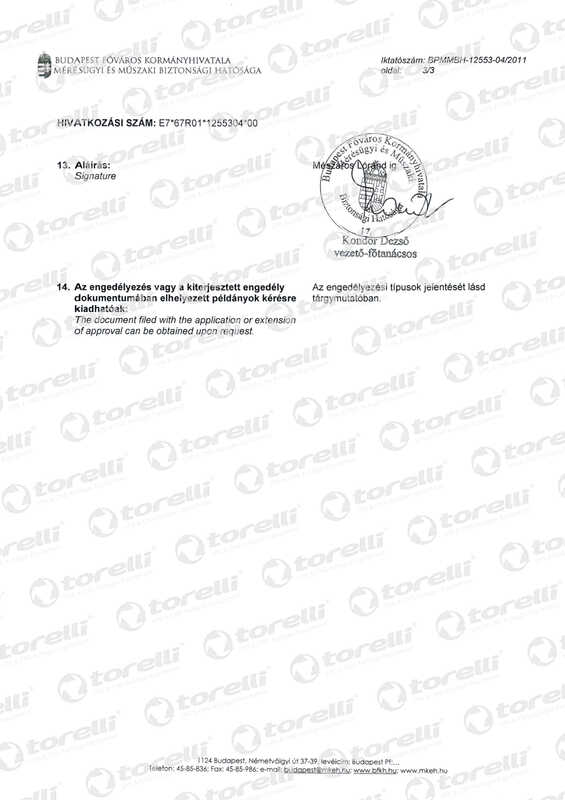 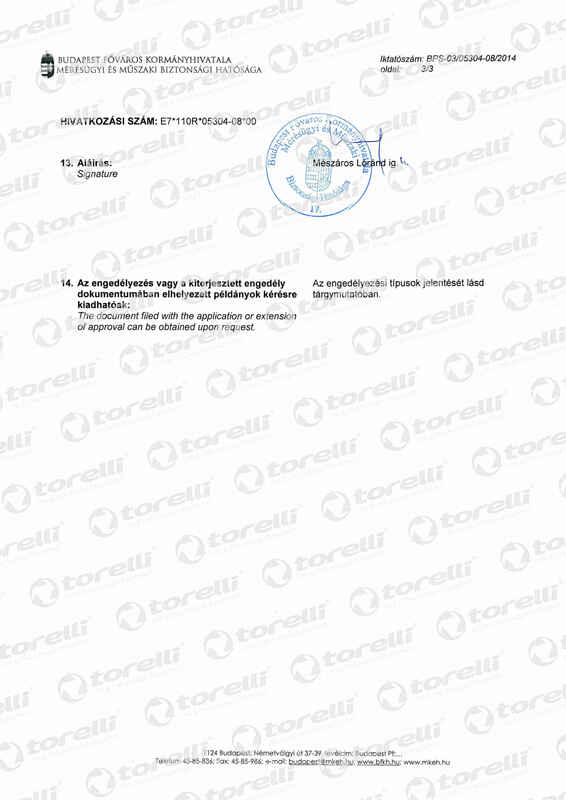 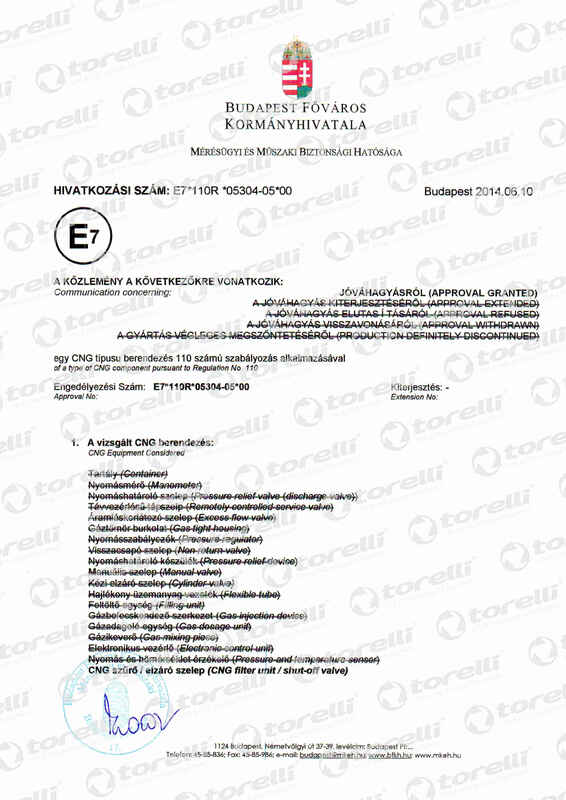 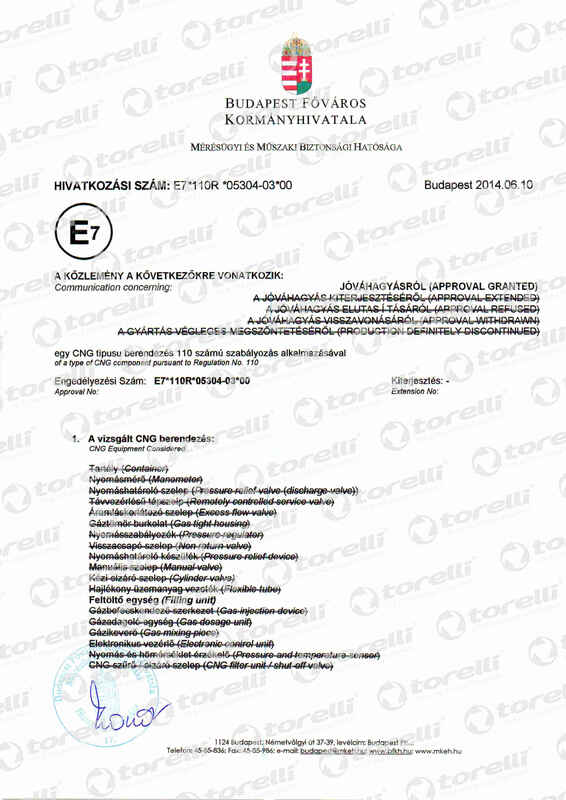 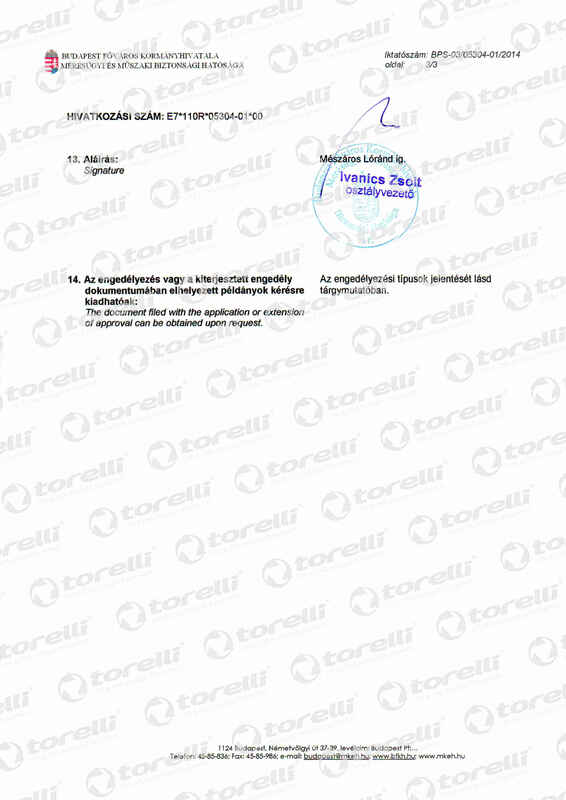 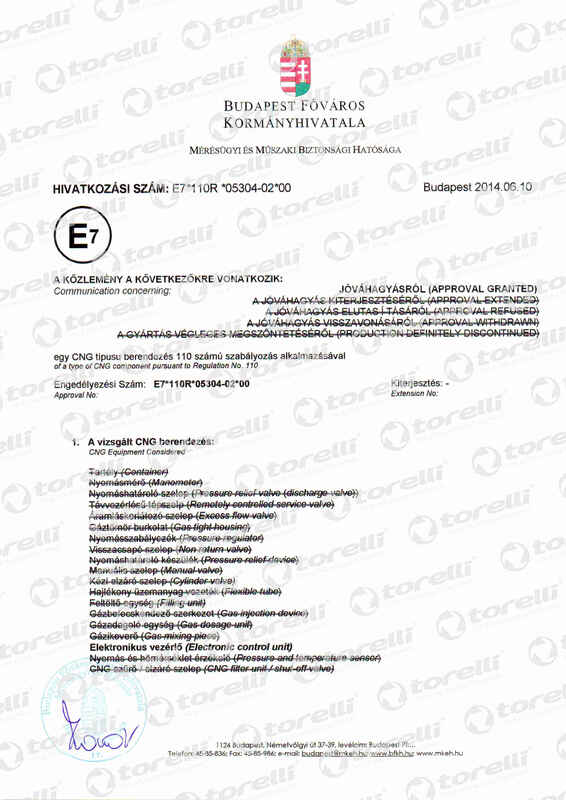 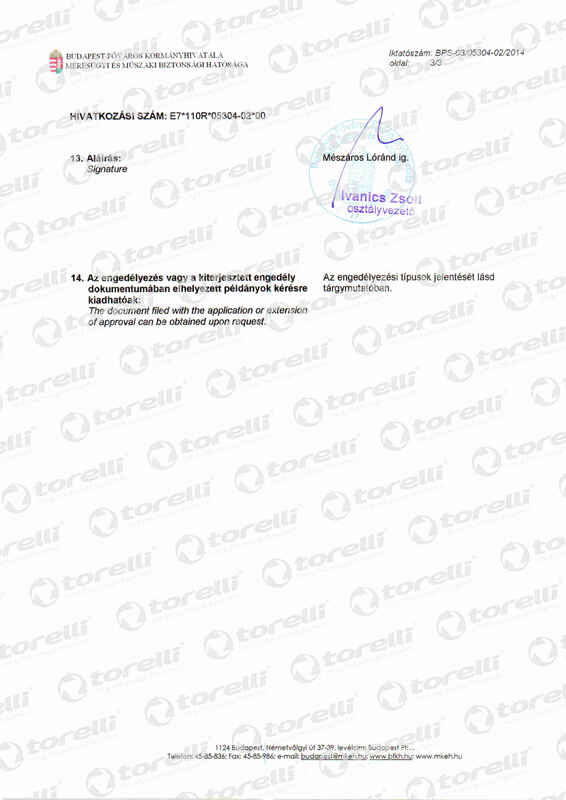 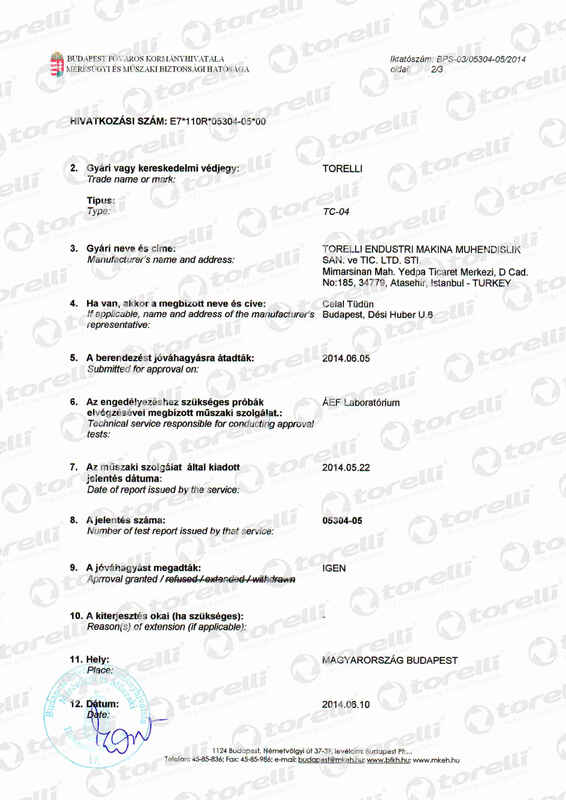 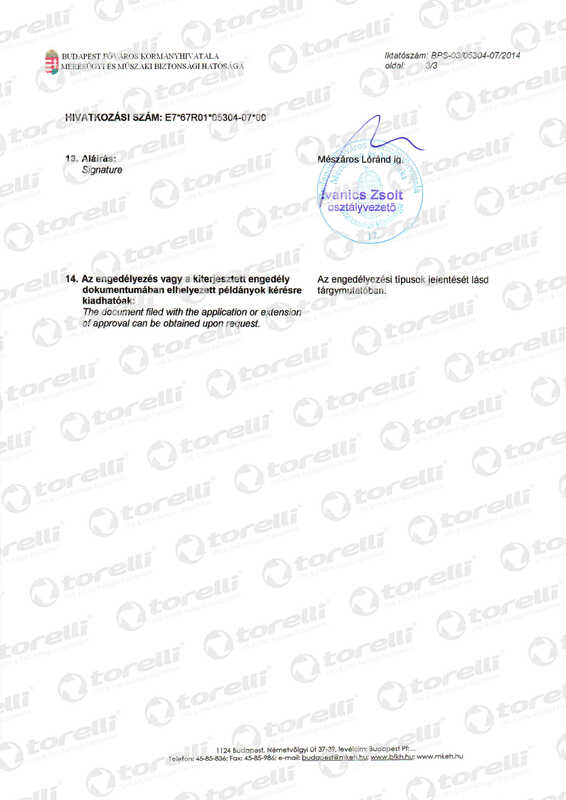 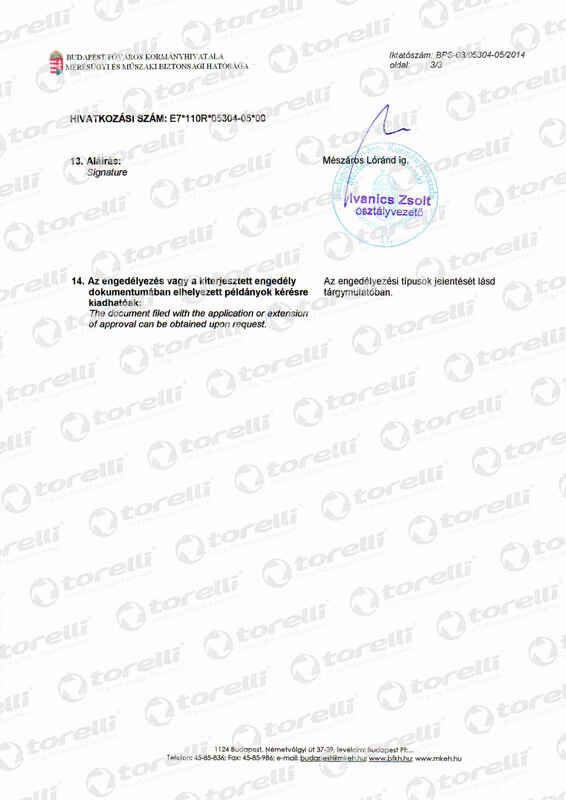 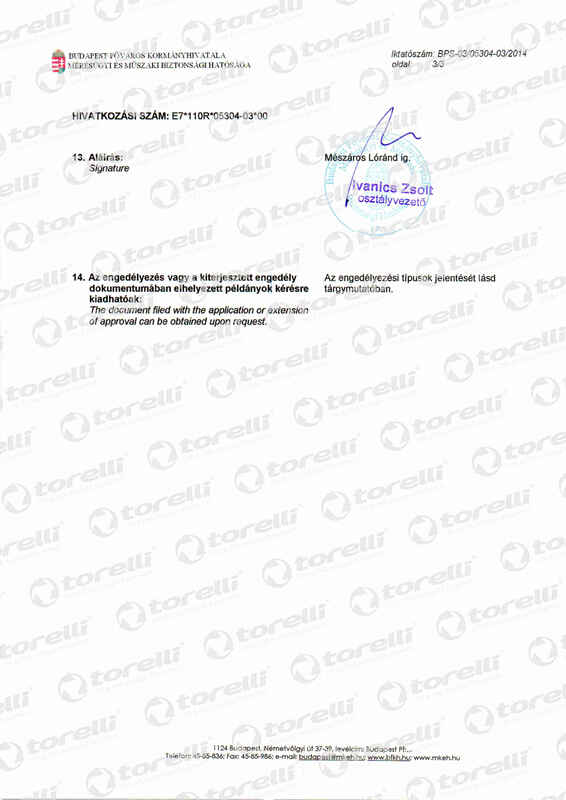 The European certificate ECE R67.01 guarantees safety and high quality of Torelli’s production. 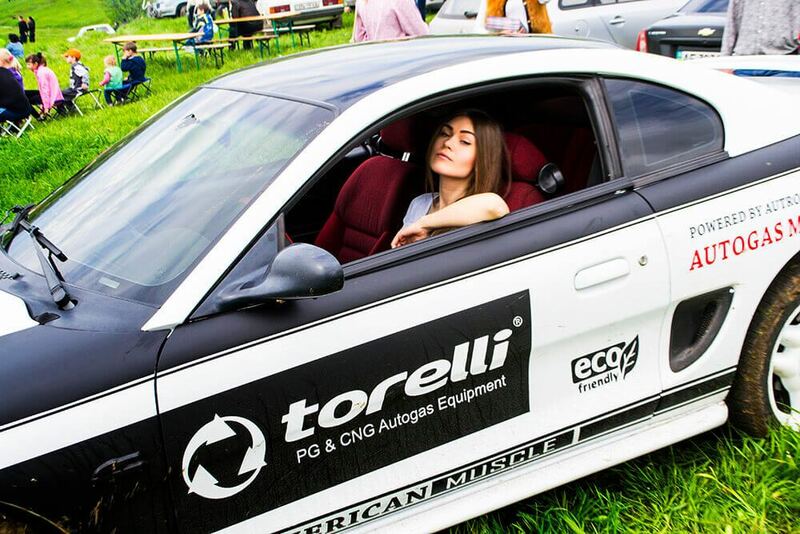 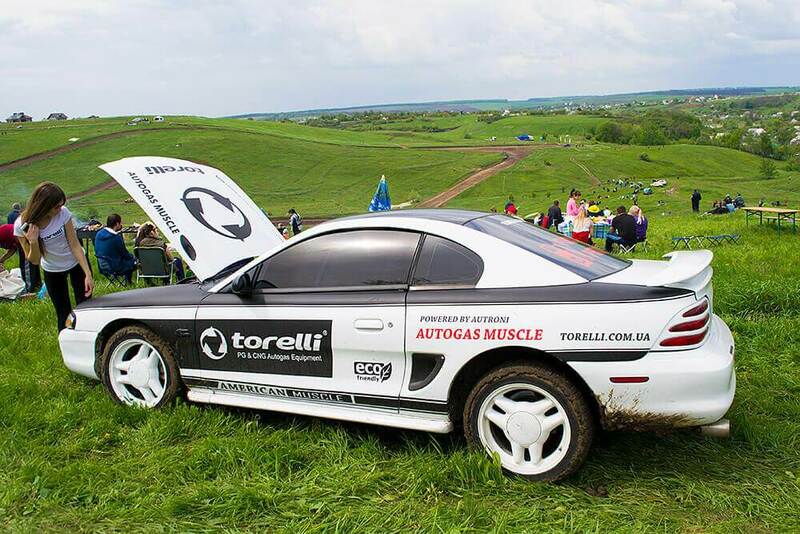 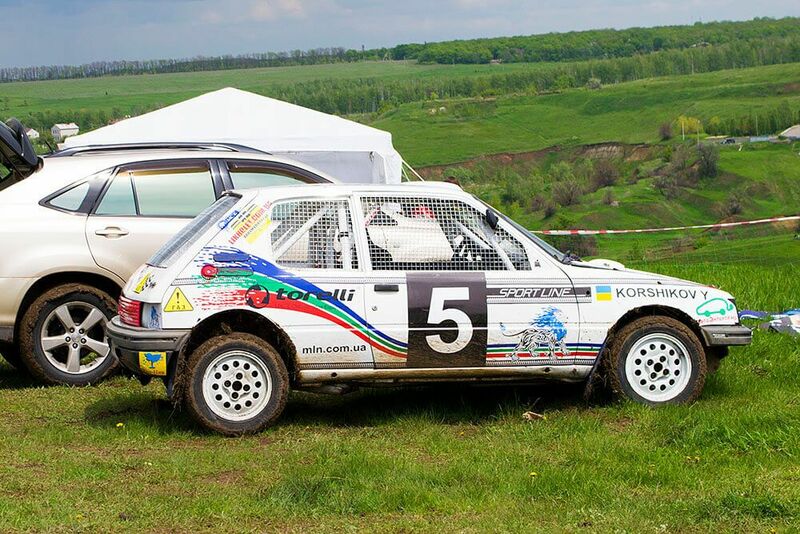 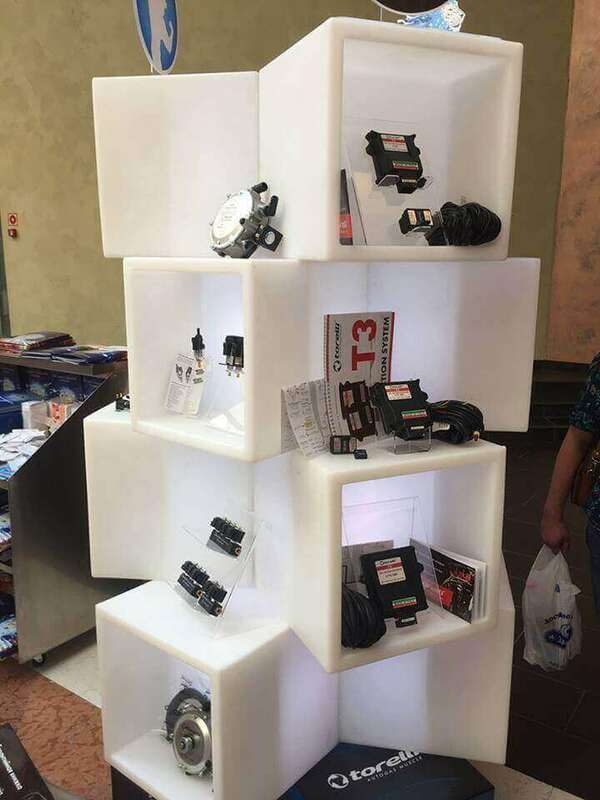 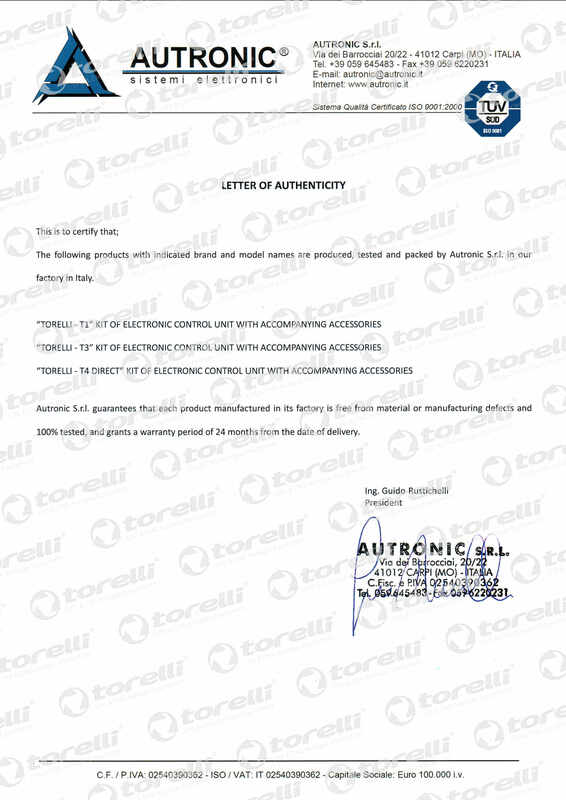 Along with the Italian manufacturer Autronic S.r., Torelli has released a range of electronic units, such as Torelli T3; Torelli T3; Torelli T3 OBD; Torelli T4, that is confirmed by authenticity certificate. 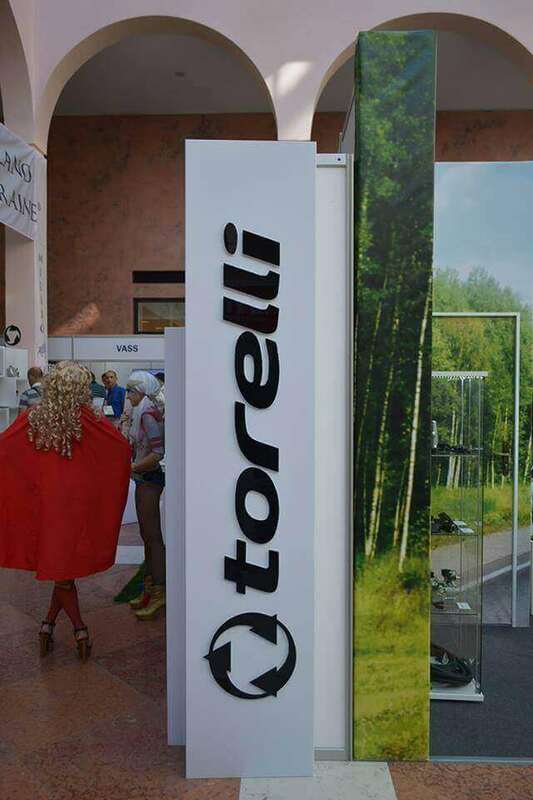 The main difference of Torelli from competitors is adherence to rigorous researches and uptake of innovations in its production, development in combination with creative search. 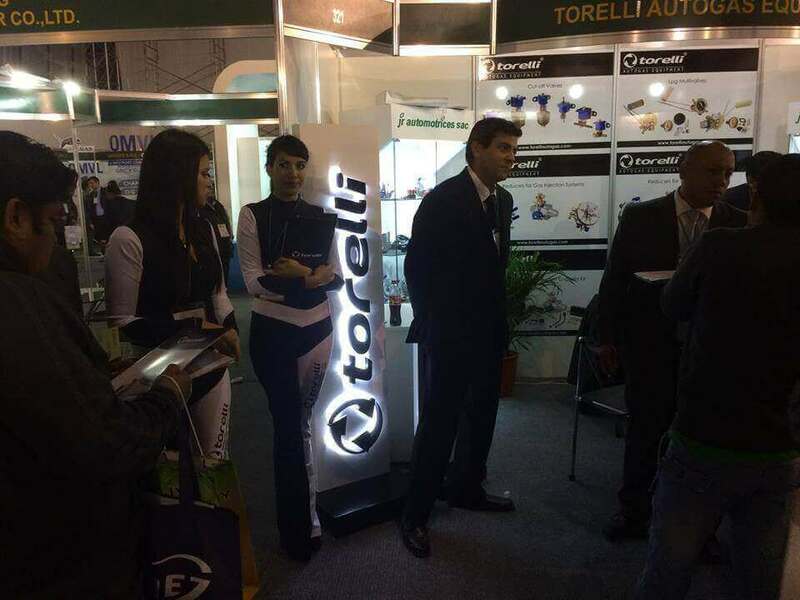 Mission of the company Torelli is to sustain a brand status with high trust level of consumers and manufacture modern equipment of high quality based on the updated world standards. 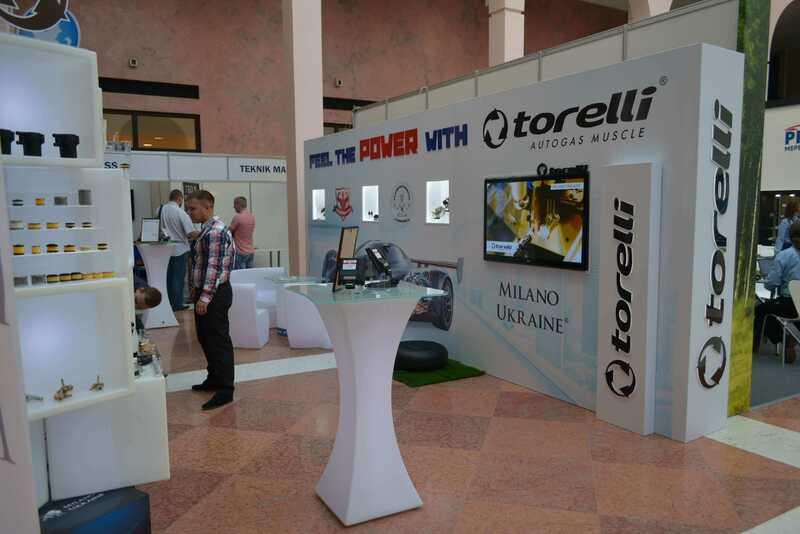 Studying needs and expectations of its clients, the company Torelli promptly introduces changes and enhancements in its products. 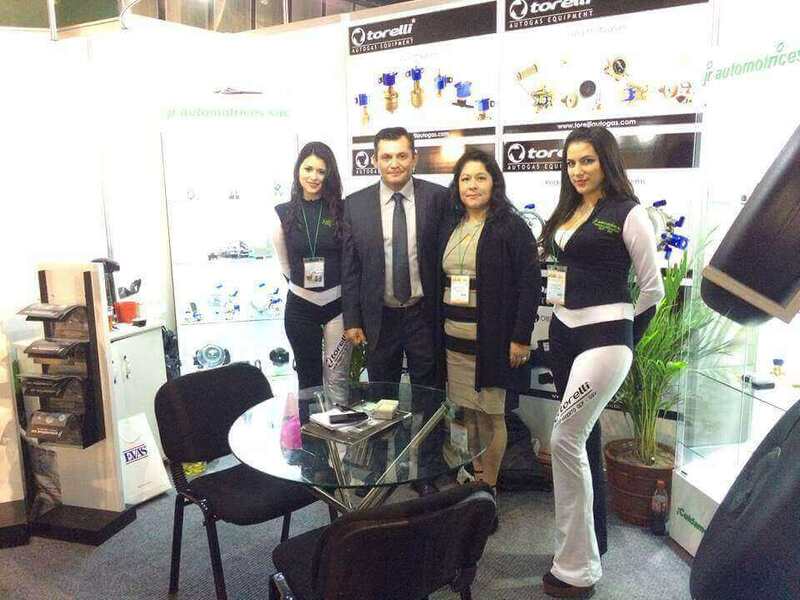 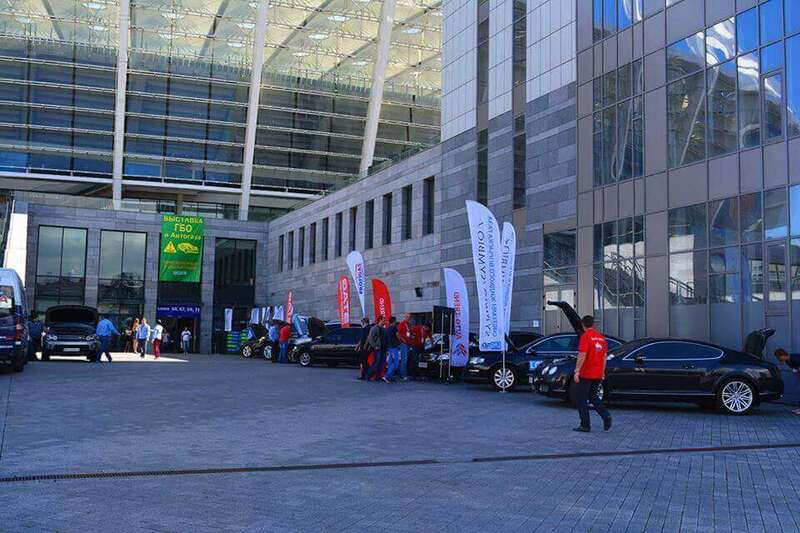 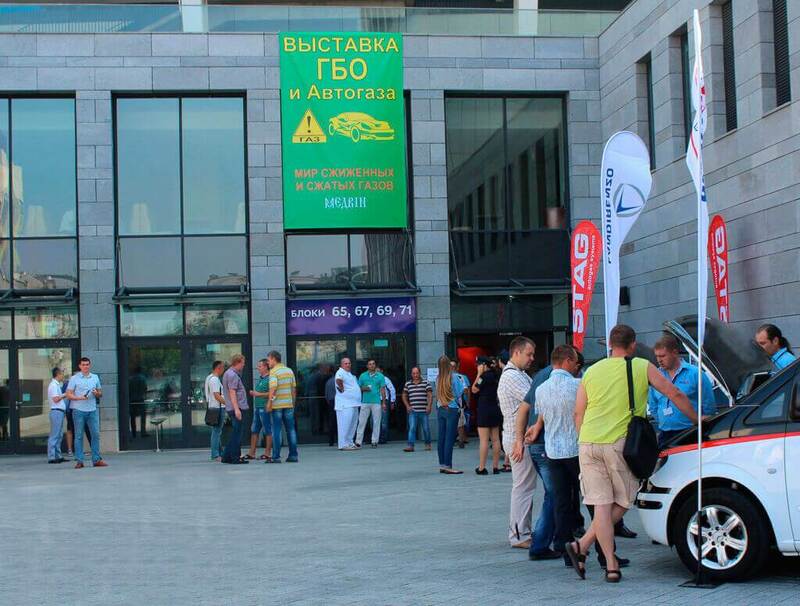 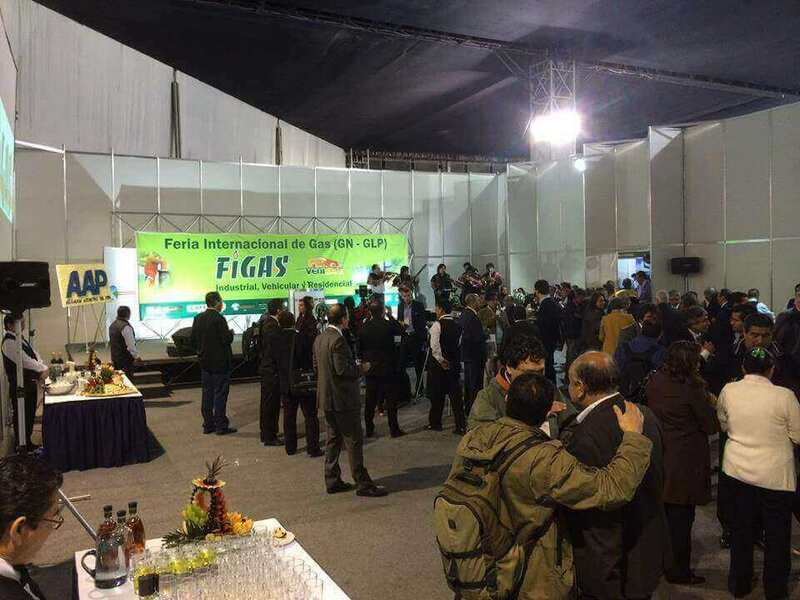 The company is continuously interested in needs and expectations of its clients, promptly introducing changes and enhancements in its products. 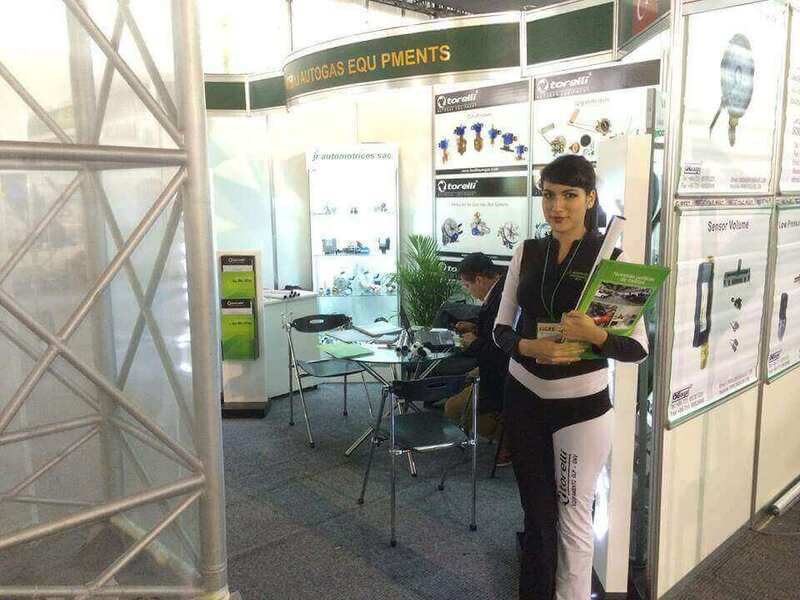 Developing prospects for cooperation, the company always follows principles of high responsibility for condition of the environment. 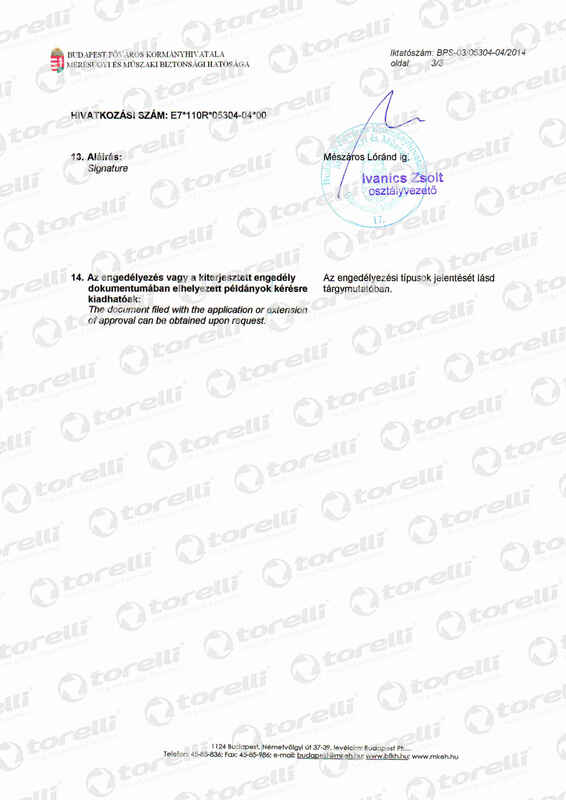 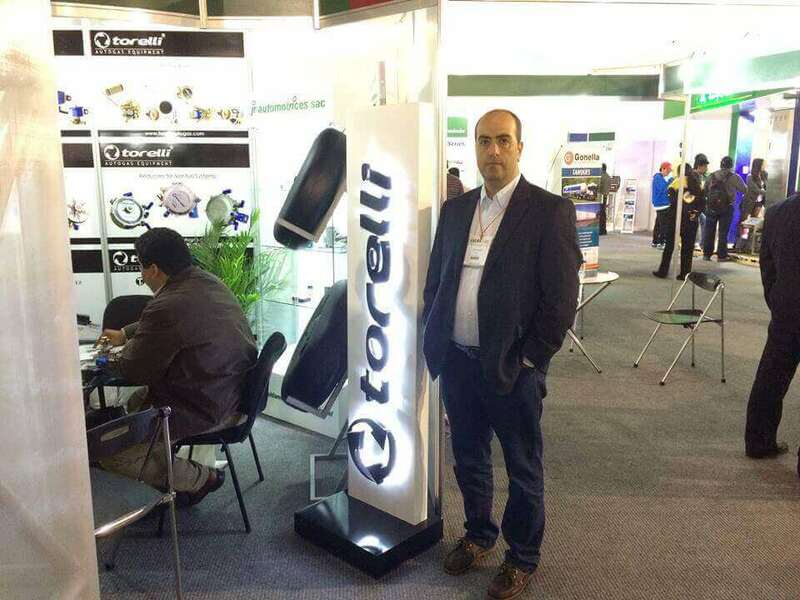 Reduction drive LPG of 4 generation Torelli Taurus is an injector propane reduction drive. 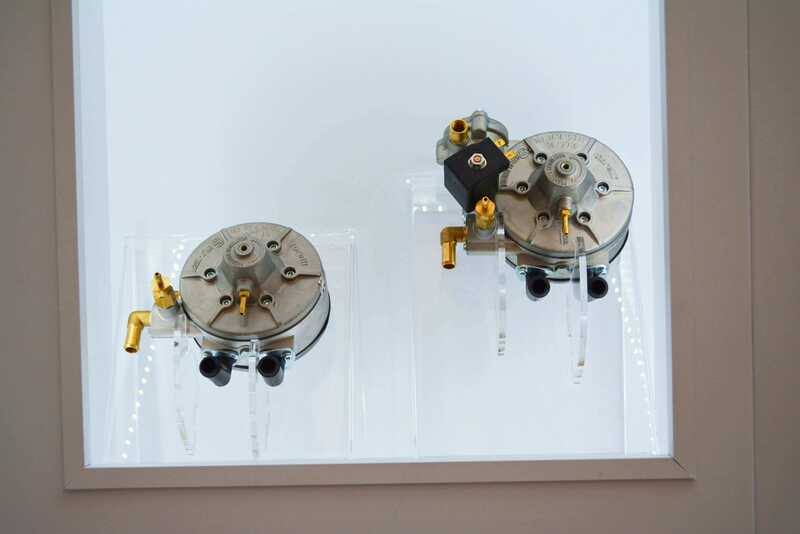 The main advantage of this reduction drive is stable pressure, it’s possible to settle the pressure from 1 to 2 atmospheres. 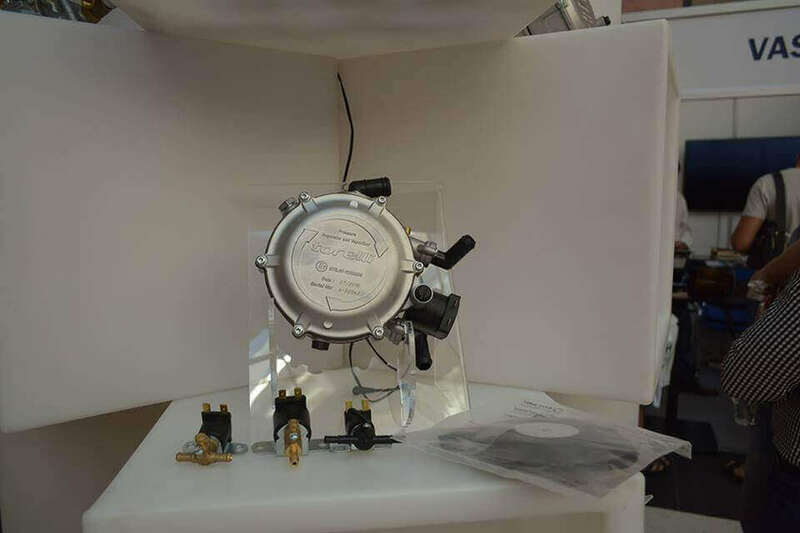 The reduction drive case has been manufactured from aluminum. 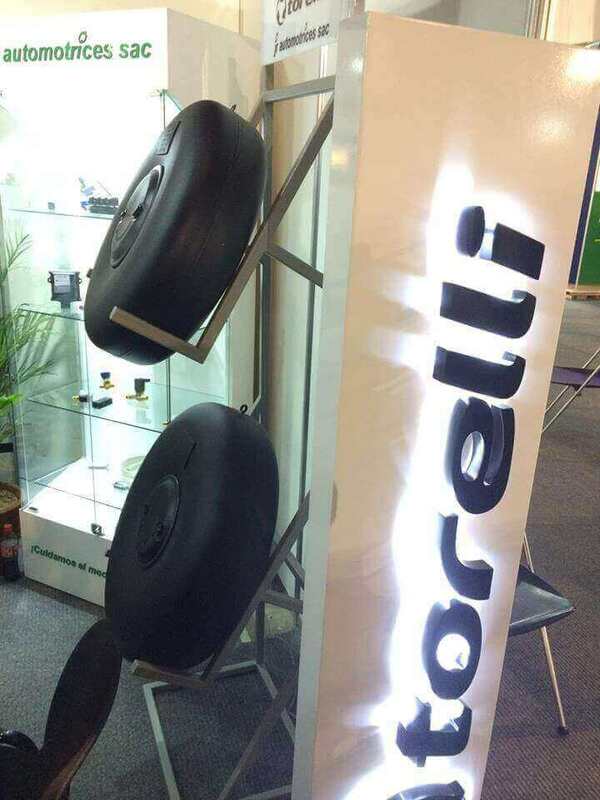 In manufacture of the reduction drive, high quality membranes and modern seals have been used, which have high resistance to oils, fuels and liquids. 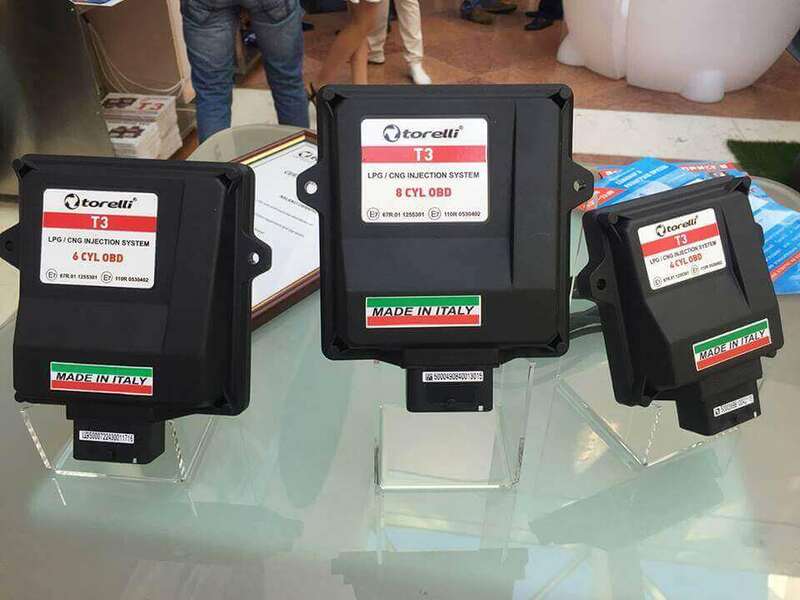 The reduction drive is equipped with installed gas filter with modified seat and cover resistant to deformations in aggressive temperature conditions. 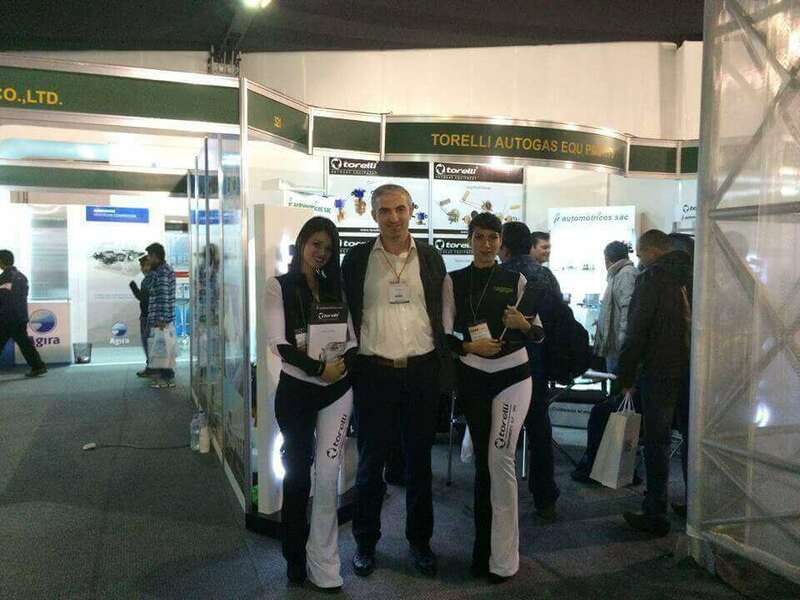 2 The company Torelli was established 15 years ago and for all the work time, it has succeeded in occupying the leading positions on the world market of gas-cylinder equipment. 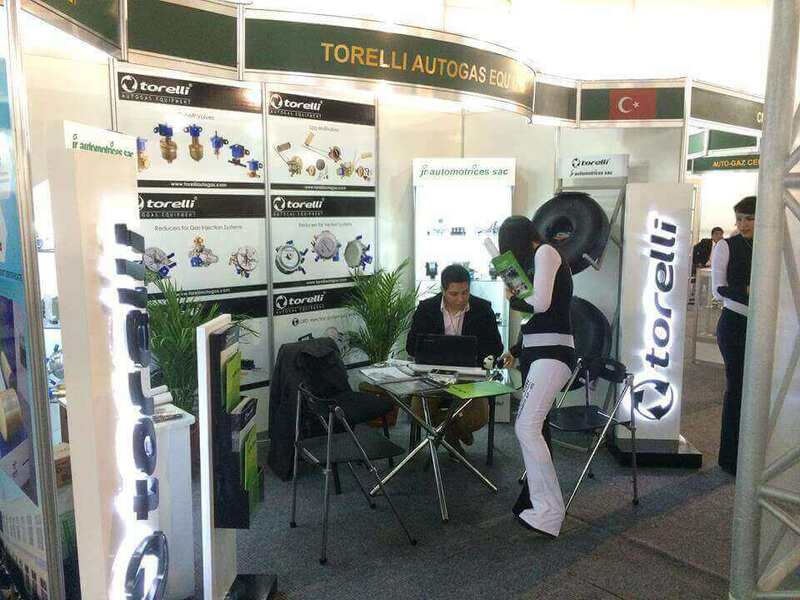 3The company Torelli was established 15 years ago and for all the work time, it has succeeded in occupying the leading positions on the world market of gas-cylinder equipment. 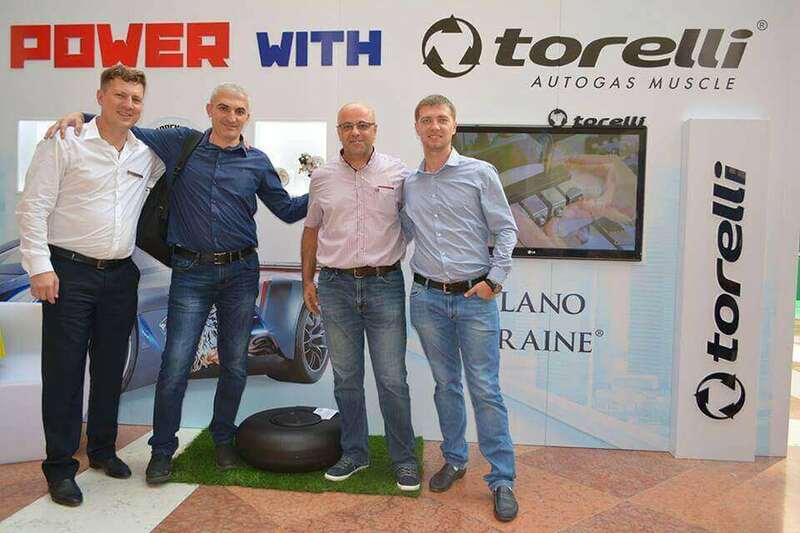 Reducer LPG 4 generations Torelli Taurus - injector propane reducer. 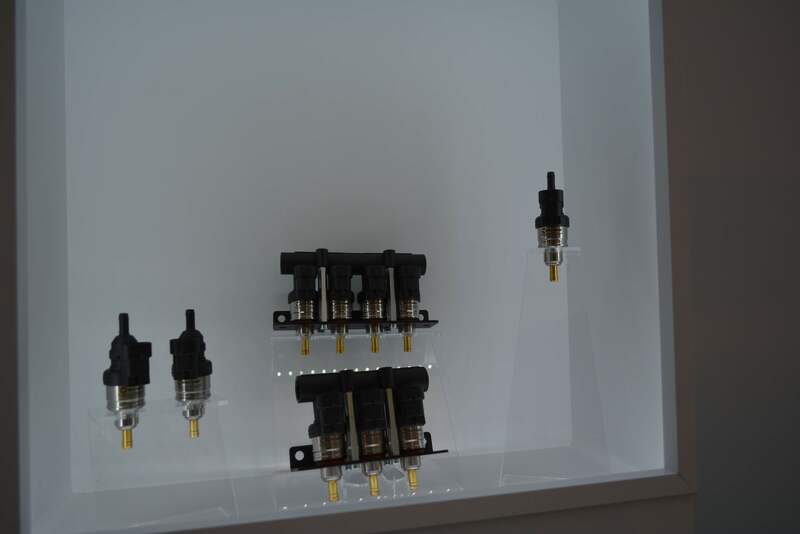 The main advantage of this reducer is a stable outlet pressure, it is possible to set the pressure from 1 to 2 atmospheres. 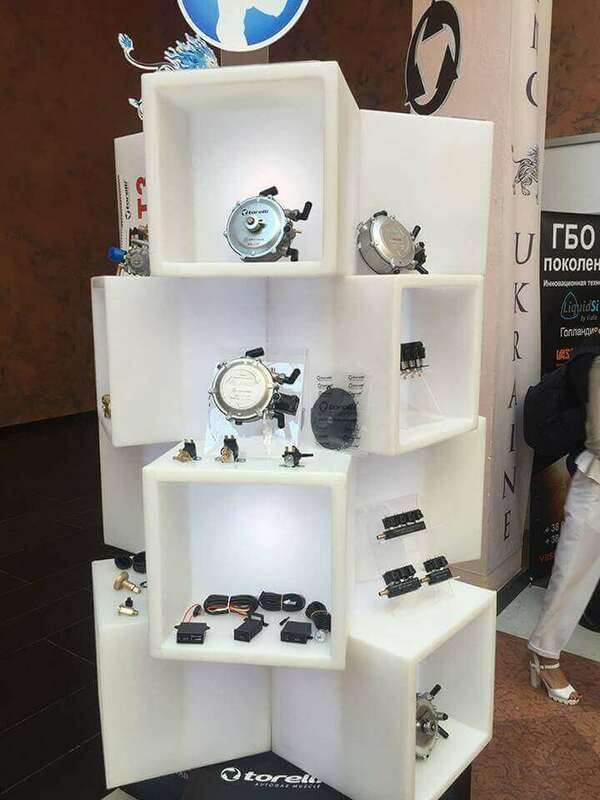 The gear housing is made of aluminum. 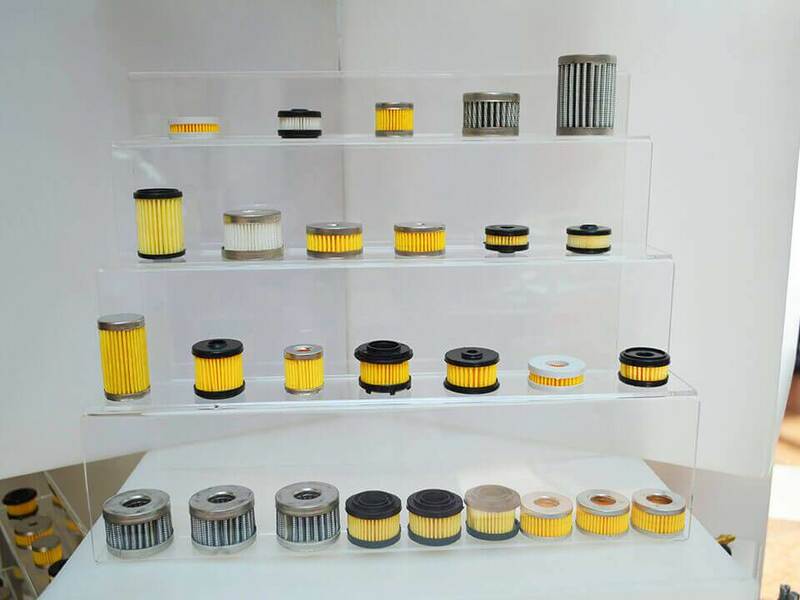 The production of the reducer uses high-quality membranes and modern seals, which are highly resistant to oils, fuels and liquids. 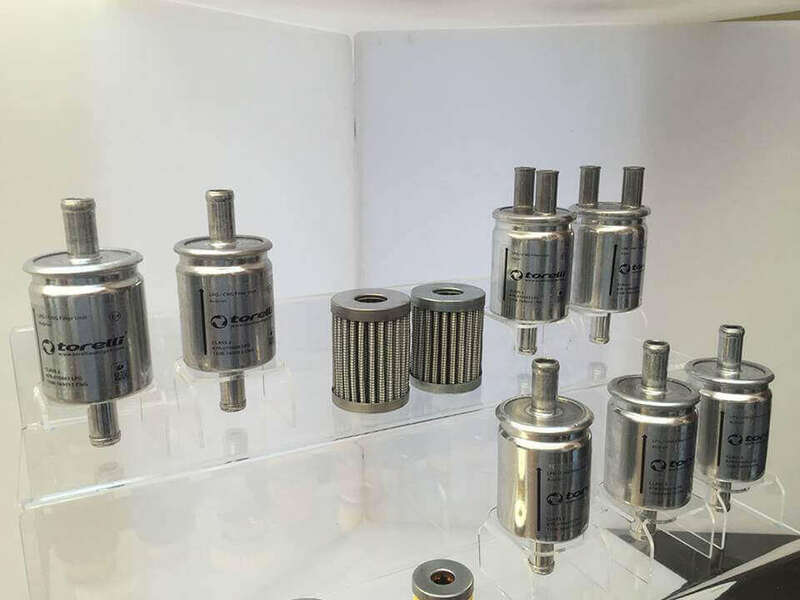 The reducer is equipped with a built-in gas filter with a modified seat and cover, resistant to deformation under aggressive temperature conditions. 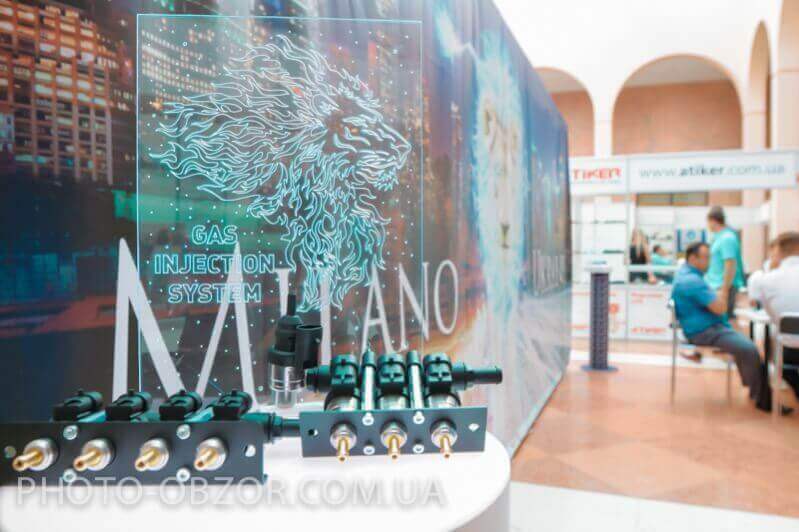 The updated construction of the multivalve enables to easily replace an electro-valve; improved construction of a multivalve gate; a strengthened case, thickness of metal casting is 7mm; flow efficiency on gas discharge has been increased, as on multivalves with 8 mm yield.